When it comes to spa treatments, we love them all. However, holistic spa services, such as the three we’ll look at here are at the top of our list. Focusing on wellness means looking at the body as a whole to understand what is causing the pain, illness or unrest we are experiencing. For the sake of making this blog a “quick-read” we’ve put together some short descriptions of a few of our favorite therapies. Originally used in Traditional Chinese Medicine (TCM), acupuncture is a health and wellness treatment performed by a trained practitioner in which thin needles are placed into the skin to stimulate specific parts of the body. Acupuncture points, also referred to as “acupoints” are located on the hands, arms, feet, head, back and over major organs. Acupuncture is, for the most part, painless, though you may feel sensation or other changes in the body and mind. During treatment, a practitioner will lightly insert needles into specific locations on the body, and TCM explains that this technique is used to balance the flow of energy or life force. Today, millions of people all over the world receive regular acupuncture to assist with chronic pain, headaches, migraines, allergies, insomnia, digestive issues, mood swings, depression and more. How does it work? TCM theory says that the body consists of a giant web called the meridian system. This interconnected web links channels in the body together to make a map and supply energy to every part of the body. The channels within the body also help to distribute blood, body fluids, maintain the balance between our yin and yang, or opposing elements, and protect the body against disease. 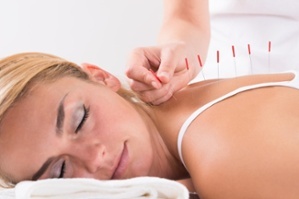 Other types of acupuncture include electrically stimulated needles or no needles at all. Take acupressure, for example, this massage technique is often thought of as “acupuncture without the needles” and is known for stimulating energy in the body by targeting certain points. Cupping therapy is a body treatment that has been around for centuries. Experts say that ancient Chinese, Egyptian, and Middle Eastern cultures conducted cupping sessions which include attaching suction cups of various sizes to the body. As the cup sticks to the skin, stagnant blood is drawn to the surface. This process allows for improved circulation, pain relief, and faster healing. This holistic treatment is popular among athletes but has made its way more mainstream as the results are often noticeable right away. It is important to note that cupping does, or can leave a mark. A temporary circular bruise will often appear after a session. This is nothing to worry about it and shows that the cups are doing what they should, pulling blood to the area. People book cupping appointments for many purposes, including fighting off illness, improving the skin, lessening pain and inflammation, improving blood flow, relaxation and well-being, and as part of a deep-tissue massage. Infrared heat is a naturally occurring energythat is often experienced in the body wrap or sauna form. The heat from the sun, as well as the warmth our bodies and all warm-blooded animals emit, is infrared. Infrared is light or energy that cannot be seen, but it is felt as heat. People all over the world participate in weekly infrared sessions and find they notice multiple benefits during and after each session. One of the most popular is pain relief because infrared can increase blood flow to assist with faster healing or recovery. Infrared also penetrates the body to act on irritated nerve endings almost immediately, calming them which can result in up to 48 hours of relief. Countless studies show that soothing infrared heat can assist with chronic pain, arthritis, fibromyalgia, delayed onset muscle soreness and relief between workouts. Feeling the soothing warmth of infrared heat can induce relaxation and help to lower cortisol (the fight or flight hormone) levels to leave the user with a sense of well-being and calm. Other infrared benefits include calorie burn, skin rejuvenation, improved sleep and more! Which holistic spa treatments should you try? All of the above! 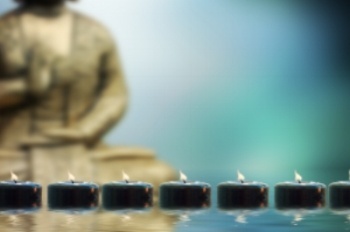 Each holistic spa treatment offers unique benefits and provides a one-of-a-kind experience. If you aren’t sure which treatments are recommended for you due to health conditions, please consult with your doctor. Otherwise, enjoy natural, effective and trusted holistic therapies to improve your wellness and provide relief.